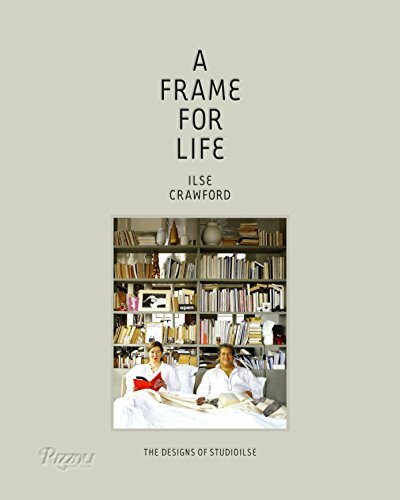 The renowned designer and style guru Ilse Crawford showcases her body of influential, holistic work for the first time, articulating her groundbreaking philosophies for design and living. Studioilse, the award-winning design studio founded by Ilse Crawford, bridges the worlds of interior design, architecture, and product design with the philosophy of putting the human being at the center. Fascinated by what drives us and makes us feel alive, Crawford says: "When I look at making spaces, I don’t just look at the visual. I’m much more interested in the sensory thing, in thinking about it from the human context, the primal perspective, the thing that touches you." Featuring Studioilse’s work to date, from private residences to hotels, restaurants, and retail projects, this book illustrates the effectiveness of design grounded in human needs and desires. Layering materials and textures, combined with her understanding of human behavior, Crawford’s designs are sensual and accessible. A forerunner of the holistic design movement a decade ago, her humanistic approach has now become the norm. This volume illustrates why Crawford’s design philosophy is so seminal—her work has influenced not only a generation of Dutch and European designers, but also Americans due to her acclaimed Soho House New York. With new photography and essays by Crawford and design critic Edwin Heatcote, this inspirational volume is sure to be one of the most important design books of the year. If you have any questions about this product by Rizzoli International Publications, contact us by completing and submitting the form below. If you are looking for a specif part number, please include it with your message.